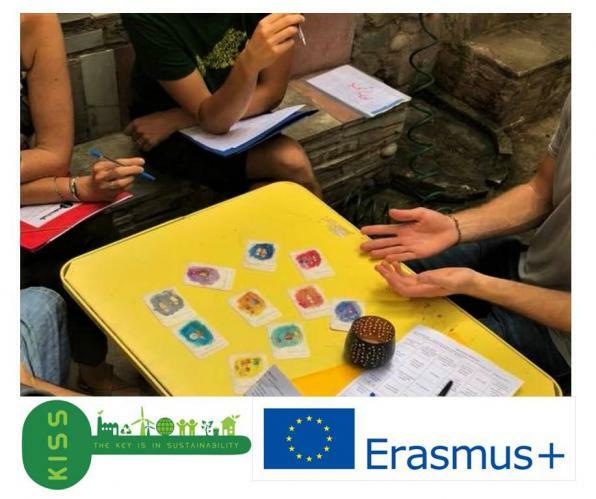 The organisations European Village and Citizens in Action invite you to participate in the workshop "SSE (Social and Solidarity Economy) and sustainability: tools for teams and initiatives" that will take place in the park of Plato's Academy (entrance from Monastiriou 140 street) on 16th June at 17.00, in the framework of the project "KISS: the Key Is Social Sustainability", funded by the Erasmus+ project of the European Union. During the workshop we will get to know and test few tools, based on the methodologies of non-formal learning and contact theatre, that help SSE groups to explore various dimensions of sustainability like democracy and internal cooperation, the emotional dimension or the quality of working conditions. KISS project is about exploring and sharing knowledge and tools, gathered during various study visits and trainings across Europe, on how SSE initiatives can be more sustainable from a social, economic and environmental perspective. While learning from others, we are also developing our own tools, such as the model for a Sustainable Development Plan. To receive updates on this and other tools, follow KISS facebook page!